We have re-designed our After-School programs as well as our In-Curriculum programs. 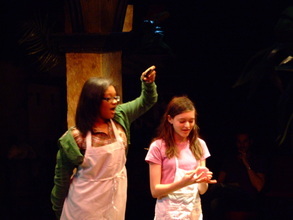 We are seeking a range of instructors in various aspects of theatre education. - Lead instructors will need to hold a BA in Theatre, Music, Education or related field; or higher degree or professional experience in specific field. - Teaching Assistants will need to be Bachelor degree candidates in Theatre, Music, Education or related field. Preferrably in their Junior Year. Winter/Spring Classes will begin as early as Nov 2018 for some school, or as late as Feb 2019 for others. We are in discussion with a number of city elementary and middle schools regarding programs for both in-curriculum and after-school. The classes we would like to provide are outlined below. Class sizes range from 6 or 8 students to as high as 22 students. We provide classes for K - 3rd grades , 4- 6th grades, and Middle School. We can create a specific curriculum for a high school level program. Lead Instructors will follow the structure but be allowed to embellish upon the curriculum guidelines. Lead Instructors will work with the Teaching Assistant, so that both are actively involved in the teaching process, and that the TA, gains skills and experience as an Instructor. Teaching Assistants will assist with classroom management, and may work one on one, or in small groups with students needing additional instruction or more supervision. Teaching Assistants will be responsible for developing lesson plans and teaching parts of all classes. In Workshop Series classes, the Teaching Assistant will be the consistent teaching staff with the students, since workshop instructors will vary from week to week. Most programs will meet weekly for 60 mins to 2 hours, depending upon the needs of the school, and age levels. Teaching staff may teach in more than one school program. All instructors will complete required background checks before the start of program. 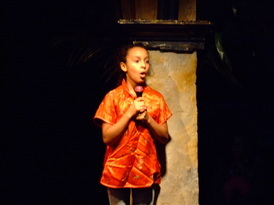 (Costs for background checks will be covered by Theatre Arts Drama Academy - Spotlighters Theatre). Instructors will be hired as 1099 contractors. An introduction to acting and theatre. Taking the next step for students with limited theatre experience to students with classroom training, this program focuses on the needs of each student to help them improve their skill level and tackle more difficult work on stage. 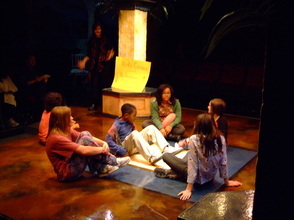 Students work with local theatre professionals to gain a better understanding of character development and stagework. Tackling the major works of William Shakespeare to provide a general understanding of the work and its characters, this class provides students a wide range of knowledge of the writings of Shakespeare and some of his best known works. Students will read each work and discuss the various plots, while developing a character study on a single character and preparing a scene from the work. 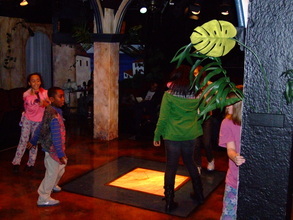 - Movement & Dance, Improv Acting, Stage Combat, Puppetry, Acting for Stage/Camera, etc. Focusing on primary dance forms for Musical Theatre, this workshop will prepare the non-dancer for basic work in most Musical Theatre productions, and improve confidence in the audition process. Providing a familiarization with terms and concepts from Tap, Jazz, Ballet and Stage Movement, this workshop give the Young Actor the advantage.